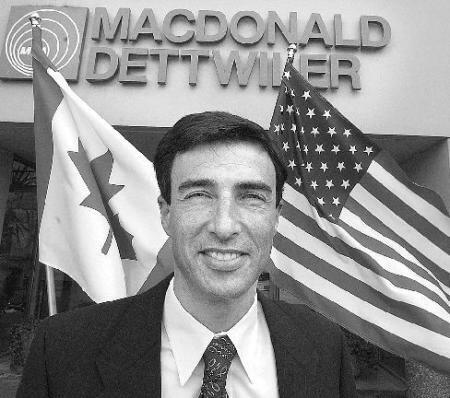 The deal may still officially require regulatory approval, but it looks like iconic Canadian space systems company MacDonald Dettwiler (MDA) has followed through on the stated intent of CEO Daniel Friedmann to buy a space company with US roots to gain a foothold in the lucrative US market. The acquisition turns the company into a global communications player and opens doors for MDA to begin subcontracting US space projects like those for on-orbit satellite servicing through the US Defense Advanced Research Projects Agency (DARPA). Loral Space & Communications Inc. has agreed to sell its satellite manufacturing subsidiary, Space Systems/Loral (SS/L) to Canadian communications rival MacDonald, Dettwiler and Associates Ltd for about $875 million. The deal is set to enhance Macdonald Dettwiler's position in the communications arena and creates potential for increased business with both commercial and government clients. The article goes on to quote an MDA spokesperson, who said that the acquisition "will immediately boost its earnings," make the expanded company a "major player in commercial communications" and provide it with "critical mass in the US market." The old and the new. From the June 27th, 2012 MDA conference call on the acquisition. As outlined over a year ago in my May 9th, 2011 post "Fighting Words from MacDonald Dettwiler," the company always intended to buy a US based space company using money acquired through the January, 2011 sale of the MDA property-information business. Even the recent MDA proposal to DARPA for on-orbit satellite servicing (as described in my February 19th, 2012 post "Details of MDA On-Orbit Satellite Servicing Proposal") is now also likely to move forward. As explained by MDA CEO Friedmann during the June 27th, 2012 MDA conference call on the acquisition, MDA has consistently performed well in the design phase of the DARPA programs, but until now has been unable to guarantee that final manufacture would be on US soil, which is a requirement for the DARPA contract. The MDA/ SSL deal includes a 1.3 million sq. 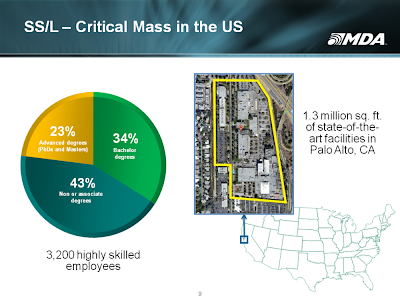 ft state of the art satellite facility in Palo Alto, California which could be used for the final assembly of any DARPA contracted satellite. Overview of MDA SS/L facilities in Palo Alto. 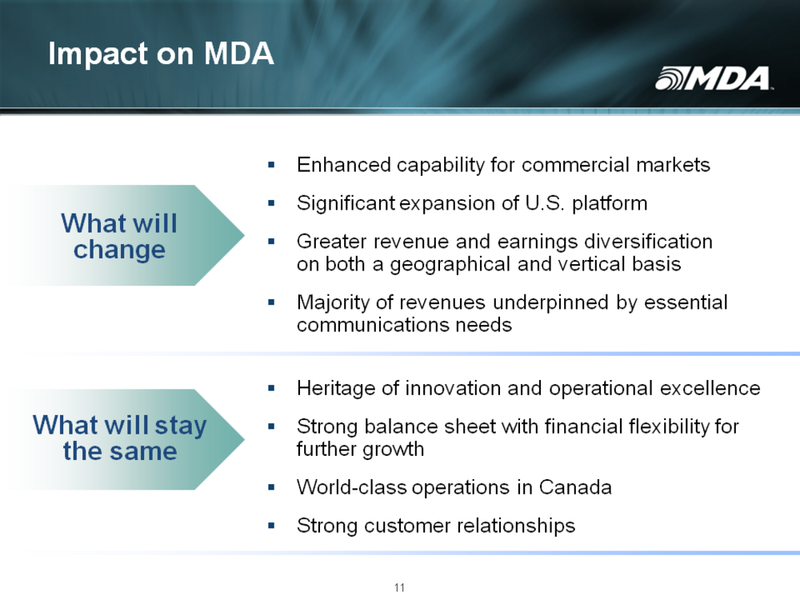 From the June 27th, 2012 MDA conference call on the acquisition. 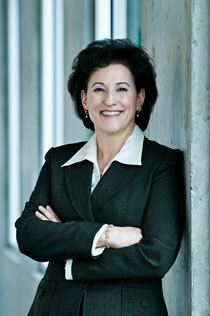 According to Friedmann, the acquisition will not immediately effect ongoing layoffs in Canadian facilities. As discussed in my May 14th, 2012 post "MDA & RADARSAT Constellation's War of the Words" the company has recently been laying off Canadian employees involved with the RADARSAT Constellation and Canadarm programs. While the mass media wraps itself around the latest Chris Hadfield exploit in preparation for what looks to be the last Canadian astronaut trip until at least 2014 (when Winnipeg natives Rob Bendall and Vince Jandrisch are scheduled to begin ferrying tourists to the edge of space in their new capacity as Virgin Galactic SpaceShipTwo pilots), its easy to forget some of the smaller Canadian companies contributing to space activities. Cimetrix Solutions - It's hard to believe that a company focused almost entirely on reselling rapid prototyping solutions developed by others could contribute in a substantive way to Canadian space exploration. But rumour has it that the company contributed several thousand dollars and a custom built 3D manufactured nose cone to the Waterloo Rocketry Team for its entry into the 2012 Intercollegiate Rocketry Engineering Competition, held last weekend in Green River, Utah. In essence, companies like Cimetrix provide the practical tools needed for the rapid prototyping methodologies required by newspace firms as described in my February 7th, 2012 post "Our Next Industrial Revolution Could be Off-World." exactEarth Ltd. - This data services company, jointly owned by COM DEV International and Madrid based HISDESAT Servicios Estratégicos S.A. is focused on using advanced microsatellite technology to monitor international ship traffic (under the exactAIS banner). The company is growing, consistently profitable and the only Canadian concern able to launch anything into orbit in 2011 (as outlined in my August 23rd, 2011 post "Political Passing, Antarctic Mapping, Grounded Russians, JWST Increases and exactEarth Launches"). As outlined in my June 5th, 2012 post "State Politics Delays exactEarth Baikonur Launch" the company currently has two more micro-satellites awaiting launch. MapleSoft, a Cybernet Group Company -This is a Canadian subsidiary of a larger international company (the Japanese based Cybernet Systems, which acquired Maplesoft in 2009) which has had great success selling high-performance software tools for engineering, science and mathematics to organizations like the Canadian Space Agency (CSA) and others. As is the case with most Canadian high technology companies, Maplesoft maintains close working relationships with a specific university faculty, which in this case is the University of Waterloo (U of W) Symbolic Computation Group. UrtheCast - As per the company website, this firm is "launching the world's first ever high definition, streaming video platform of planet Earth." Using partnerships with Russian aerospace giant RSC Energia, Canadian space icon Macdonald Dettwiler (MDA) and quite a number of other firms, the company has built two HD cameras for the Russian module of the International Space Station (ISS) which are expected to be installed on the ISS next year. The company advocates an open source model of the development of applications for the geographic or spatially referenced information which the cameras will collect. Xiphos Technologies - The company builds low cost flight processors for on-board spacecraft, aircraft and other platforms requiring protection from harsh environments and high radiation. In many ways the most successful in terms of employees and revenue, this company is also one of the most low profile. Xiphos has been serving space and UAV markets for 15 years and has a flight heritage on a dozen different satellite missions. Undoubtedly there are more, but these five companies are good places to start getting a sense of where fortunes are likely to be made over the next decade and how Canadian companies are likely to make them. At first glance, one might find it hard to categorize science fiction author Jerry Pournelle as a "conspiracy theorist." But advocates of the US laws relating to the International Traffic in Arms Regulations (ITAR) might want to take note that an entire series of Pournelle novels takes place in a near future society which restricts the development of technologies that can be used in warfare. Since even pillows can be used to smother opponents, this state of affairs eventually halts progress and improvement for pretty much everything. Which is bad, although the stories themselves are very, very good. Beginning with the 1971 Analog Magazine serialization titled "A Spaceship for the King," which was later expanded out into the 1981 novel "King David's Spaceship," Pournelle and his co-authors (Larry Niven and S. M. Stirling) created an alternative Earth where a transnational bureaucracy (the CoDominium), originally designed to facilitate relations between the United States of America and a revived Union of Soviet Socialist Republics, ends up controlling Earth and its resulting interstellar empire. To maintain their rule, the CoDominium routinely suppresses all scientific research and development. Scientists are overtly censored, spied upon, and can even be deported off Earth. More covertly, public sources of information in the CoDominium universe are contaminated with false data and confused by the encouragement of contradictory rules and regulations for disparate organizations which proliferate to encourage the division of knowledge into increasingly smaller, unconnected and useless sub-specialties. 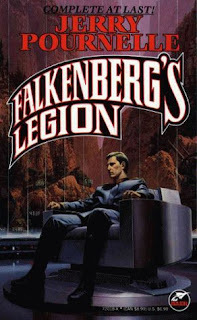 The end result in the CoDominium universe is that progress halts (which makes for a series of pretty good stories related to the mercenaries of Falkenburg's Legion), then collapses until a more progressive civilization takes hold (as outlined in the classic novel "The Mote in God's Eye"). 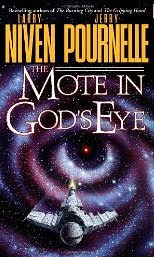 While surely none of this has any direct relevance for the real world, it's important to note that Pournelle's wikipedia bio references stints of political activism (as research director for the 1969 mayoral campaign of Los Angeles Mayor Sam Yorty and as contributor to the US Strategic Defense Initiative sections of Ronald Reagan's 1983 State of the Union Address), personal friendships with major political figures and long periods of aerospace industry employment on top secret projects for Boeing, the Aerospace Corporation, and the North American Rockwell Space Division. ...in any bureaucratic organization there will be two kinds of people: those who work to further the actual goals of the organization, and those who work for the organization itself. Examples in education would be teachers who work and sacrifice to teach children, vs. union representatives who work to protect any teacher including the most incompetent. The Iron Law states that in all cases, the second type of person will always gain control of the organization, and will always write the rules under which the organization functions. 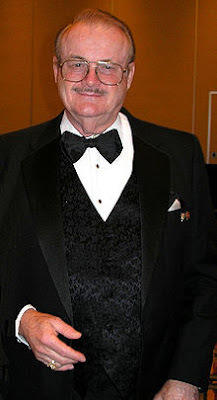 As the US moves forward with ITAR reform, the creation of Federal Aviation Administration (FAA) regulations governing commercial spaceflight and the development of safety principals appropriate to the space tourism industry, it might it be useful to remember this law and some of the other writings of Jerry Pournelle. Even if much of his work, sounds ever so slightly, like a "conspiracy theory." 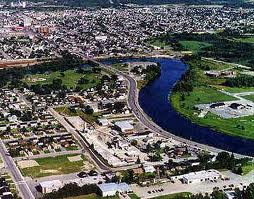 Timmins, Ontario from the air. It looks like the City of Timmins, Ontario has entered into an agreement with the Canadian Space Agency (CSA) and the French Centre National d'Études Spatiales (CNES) to build, operate and maintain the infrastructure for a giant balloon launching base, which will support "at least one launch every two years." At least that's the story as outlined in the June 15th, 2012 press release on the CSA website under the headline "Canada–France Collaborate on Balloon Launches: City of Timmins Selected as Launch Base." But while the French benefits are explicitly defined as finding a launch site for their upcoming Polarized Instrument for Long-Wavelength Observations of the Tenuous ISM (PILOT) and a variety of other high altitude balloon missions discussed in the January 22nd, 2012 CNES "Call for Scientific Research Proposals using Balloons," the benefits to the CSA and Timmins are less well defined. According to the CSA press release, the partnership will "provide Canadian scientists and engineers with a new platform to test technologies and advance space science." But according to Daniel Leveque, the CSA co-project manager for the program, the specifics of any Canadian experiments or contributions coming still need to be defined. This high altitude weather balloon from the California Near Space Project, crossed the United States and then the Atlantic Ocean before landing in the Mediterranean Sea in 2011. In a phone conversation earlier today, Levesque explained that potential Canadian experiments and contributions will be discussed at an upcoming conference being scheduled for October 2012. 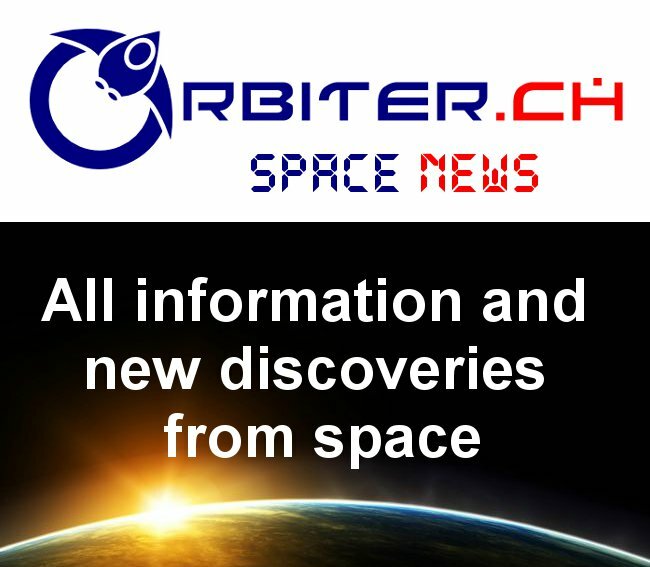 This new conference will be a follow-on to the April 2010 Workshop on Suborbital Platforms and Nanosatellites and will likely include most of the same participants. 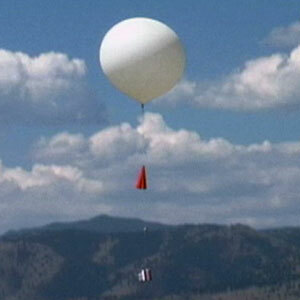 Similar conferences (with most of the same participants) were also held in 2007, 2008 and 2009 but Levesque is optimistic that an announcement of opportunity followed by several requests for proposals related to potential Canadian balloon experiments will be issued after this latest 2012 conference. Of course, Levesque also said the CSA's announced $10 million dollar contribution to the project is only to build the base and does not include the cost of any payloads.There also seems some ambiguity over the dates these funds are expected to be available for use. 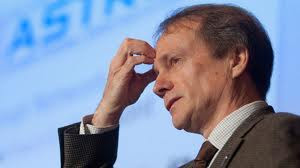 Serial space entrepreneur and co-founder of the International Space University (ISU) Dr. Robert D. Richards has confirmed a recent rumor circulating through the academic community that the Canadian Space Agency (CSA) is "pulling their financial support of ISU." The ISU, a private non-profit institution of higher education focused on space science and applied technology, is supported by a variety of Canadian and international organizations including Bristol Aerospace, the Boeing Company, ComDev International, the European Space Agency (ESA), the Indian Space Research Organization (ISRO), the Israel Ministry of Defense, the Japanese Aerospace Exploration Agency (JAXA), Macdonald Dettwiler (MDA), the National Aeronautics and Space Administration (NASA), Optech Incorporated, the Royal Canadian Air Force (RCAF), Royal Military College of Canada the United States Air Force (USAF) and quite a number of others. The CSA is also currently listed on the ISU partners and sponsors webpage. But, according to Richards, the CSA informed the ISU on April 12th that funding would be curtailed and that CSA representatives could no longer participate on the ISU Board of Directors. "Canada has been a valued and dedicated ISU sponsor since pre-CSA times. So many leading Canadian space sector people are ISU grads who have been key to Canada's space activities and have paid the investment back to Canada many times over, its' hard to fathom (the decision)" he stated in response to an e-mail query earlier today. A CSA withdrawal from the ISU would also seem to contradict the stated CSA public policy (most recently outlined in the May 24th, 2012 Space.com article "Space Agency Leaders Say Global Cooperation Vital for Future Exploration") advocating increased international co-operation among space agencies and stakeholders. 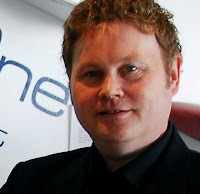 Canadian born Richards is is currently co-founder and CEO of Moon Express, Inc., a US company awarded a $10M commercial lunar contract by NASA and a competitor in the Google Lunar X PRIZE. In 1987, together with Todd B. Hawley and Peter Diamandis, Richards helped create the ISU. The publicly held American multinational United Technologies Corporation (UTC) is now "in negotiations with one buyer to sell storied rocket engine maker Pratt & Whitney Rocketdyne and a deal may soon be announced," according to the June 11th, 2012 LA Daily News article "Pratt & Whitney Rocketdyne about to be sold to private-investor group." 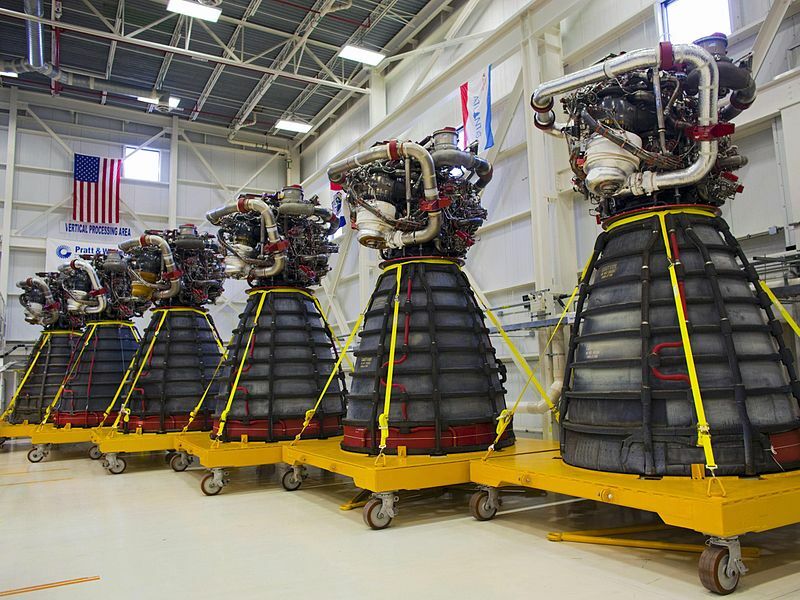 The Pratt & Whitney Rocketdyne space shuttle main engines from Endeavour's and Atlantis' final missions in the Engine Shop at NASA's Kennedy Space Center in November 2011. As outlined in the May 22nd, 2012 Reuters article "United Tech says Goodrich deal to close in July," the Rocketdyne subsidiary was always expected to be sold by UTC, along with the industrial arm of the Hamilton Sundstrand division, and the Clipper Windpower operation, in order to fund the $16.5 billion UTC takeover of aircraft components manufacturer Goodrich Corporation. But a private investment deal could end up giving the historic company (originally formed after the second world war to study the German V-2 missile and adapt its engine to US requirements) new capabilities and perhaps even the potential to compete in the international marketplace against privately held Space Exploration Technologies (SpaceX). A June 11th, 2012 post on the NASA Watch under the title "Rocketdyne Sold - Griffin as New CEO?" even states that the new owners, working through a group organized by the Chase Bank, have hired ex-NASA Director Michael D. Griffin as the new Rocketdyne CEO. All of which suggests the possibility of one final hurrah for the once promising and innovative company which simply grew too old and dependent on fixed price government contracts. Which kinda sounds like the plot of the 1956 teleplay "Requiem for a Heavyweight." Written by Rod Serling (who later went on to create "The Twilight Zone"), the teleplay focused on Harlan "Mountain" McClintock, a once-promising but now washed-up boxer who faces the end of his career after being savagely defeated by a younger, and more capable foe. Boxing is all "Mountain" McClintock has ever known and he's both terrified of trying something new and intensely loyal to the coach who has nurtured him from his youth, but also bets against him (much like the US government has hedged its bets once or twice with Rocketdyne in its various incarnations). Of course, analogies rarely transfer directly to the real world. Rocketdyne possesses serious political connections and legacy assets in the intellectual property surrounding the RL10 rocket engines, the RS-68 first stage engine for the Delta IV, the RS-25 engines used as the space shuttle main engine and quite a few other programs and projects. And no one expects that the new owners will be "punch drunk." Expect the official announcement of the sale and the new management team to be made over the next month. The University of Toronto Space Design Contest (UTSDC), will not be holding a competition in 2012 and seems unlikely to be revived anytime soon. The contest was an independent, student run organization operating out of the Faculty of Applied Science and Engineering at the University of Toronto and held annual competitions from 2004 until 2011 for high school students to solve challenging space-related science and technology problems. But the contest website hasn't been updated since last years results were posted in May 2011, the contact form for the website is "offline" and inquiries to the University of Toronto Faculty of Applied Science and Engineering (which links from the UTSDC for contest "donations") have gone unanswered. 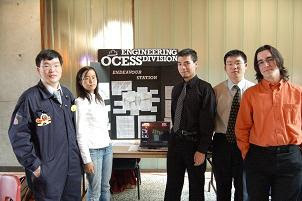 Brian Foo, Guangye Cao, Jonathan Scothorn, Alex Foo, and Stefan De Young, members of the Ottawa Carleton Educational Space Simulation (OCESS) 2007 UTSDC team. Unfortunately, the student organizing committee will not be hosting the annual event for the 2011 - 2012 school year as we undergo internal reorganizations to ensure the success of future events. With that said, we are extremely glad that you express interest for this event, and we will definitely keep you up to date as our plans for the 2012-2013 school year take shape. We are very sorry that we cannot entertain your enthusiasm this year, but we truly hope you will continue to join us for next year’s event, either as a high school contestant, or an undergraduate volunteer. We promise you it will be worth the wait. According to the 2010-11 UTSDC sponsorship package, the operating budget for the contest was approximately $25,000 CDN with 2/5th's this total normally generated through registration fees from the participants and the remainder generated through a variety of sponsorship packages. Past sponsors for the event have included the American Institute of Aeronautics and Astronautics (AIAA), Apogee Books, the Canadian Space Agency (CSA), Com Dev International (COMDEV), the Dunlap Institute for Astronomy and Astrophysics and the University of Toronto Institute for Aerospace Studies (UTIAS). Satnews.com is reporting that the launch of the exactEarth 1 (EV1) automatic identification system (AIS) micro-satellite has been delayed until the "conclusion of current negotiations between Russian and Kazakh officials over drop zone issues." The micro-satellite, manufactured by Com Dev International subsidiary exactEarth LLP is one of a series of four micro-satellites the company plans to launch in 2012 and 2013. The firm provides a global vessel monitoring and tracking service based on satellite AIS detection technology. According to the June 4th, 2012 Satnews Daily article "exactEarth... Imminent Integration (Satellites)" the micro-satellite "has arrived at the launch site in Baikonur, Kazakhstan, and is ready for integration into the Soyuz launch vehicle" but the original launch date will be delayed and no new launch date has so far been announced. That launch my not happen anytime soon. As outlined in the May 30th, 2012 Space Daily article "Russia, Kazakhstan in Deadlock Over Rocket Launches" the disagreement between Russia and Kazakhstan is longstanding and any potential solution could require the two sides to sign an addition to the 1994 Baikonur rent agreement, which would then need to be ratified by the Kazakh parliament. Failure to sign the document already prevented Russia from launching a European weather monitoring satellite MetOp-B on May 23, and will most likely jeopardize a cluster launch of Belarusian, Canadian, German and two Russian satellites on June 7 and the launch of Russian satellite Resurs-P in August. The context for the disagreement is fascinating and reads like the plot of a cold war spy novel. In 1994, Russia agreed to terms to rent the Baikonur Cosmodrome, then the primary Russian launch facility and originally a part of the ex-Soviet Union, from a newly independent Kazakhstan for an annual fee of $115 million USD. 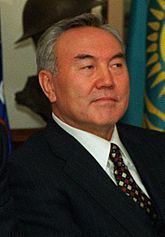 But the 2007 crash of an unmanned Proton rocket near a city where Kazakh president Nursultan Nazarbayev happened to be visiting seems to have led to a request from Kazakhstan to reopen the negotiations on the agreement. The Russian response to the Kazakh request seems to have been somewhat less nuanced. According to the November 27th, 2007 Reuters and New Scientist article "Russia to build new cosmodrome on home soil" Russian President Vladimir Putin responded by announcing "a decree that clears the way for the construction of the new (Russian) cosmodrome which will begin hosting launches in 2015." 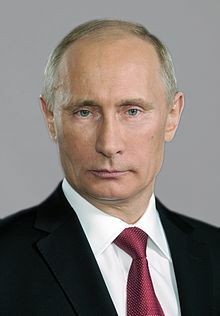 Since then, the negotiating positions of the two states have been slowly deteriorating and it remains to be seen if anything can be done in the near future to put Russian rocket launches back on any sort of a schedule. Look for other satellite launch dates to slip as this disagreement begins to escalate. June brings a certain lethargy to Ottawa and government departments in general as Parliament prepares to adjourn until the second Monday following Labour Day. However, important events and activities normally continue with or without government participation and this is true even for space focused activities. 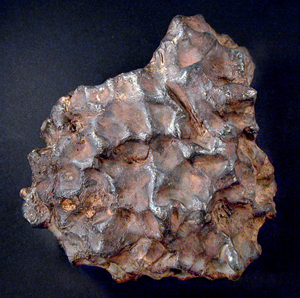 A meteorite from the University of Alberta collection. According to the June 2nd, 2012 Ottawa Citizen article "Meteorite research puts Canada in higher orbit,"scientists and geologists are are preparing for the time, "when major space powers will send robot probes to asteroids or Mars" and Canada is well placed to take advantage of these activities. The article quotes Carleton University professor of Earth sciences Claire Samson as stating that, "meteorite research in Canada is not well funded. (But) we are innovative and creative and we do it anyway.” Sampson also discussed innovation and how it often lies in finding new uses for existing equipment, such as using a re-purposed medical CT scanner to look inside rocks without the need to break them apart. 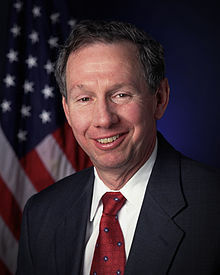 A June 1st, 2012 post on the Space Safety Magazine website under the title "Renewed Hope for Export Control Reform" is suggesting that the recent release of a combined report from the US Departments of Defense and State titled "Risk Assessment of United States Space Export Control Policy," offers good news for satellite exporters. The report "recommended that communications satellites that do not contain classified components, remote sensing satellites that fall below specific technical performance thresholds, and components for such satellites be moved from the USML to the less restrictive Commerce Control List (CCL), making it easier for US companies to sell those items to foreign customers." But as outlined in my November 11th, 2011 post "Is The Space Industry Really "Uniting in Criticism over ITAR? 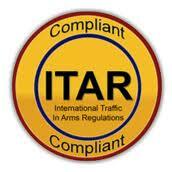 "," large US corporations normally benefit from complex regulations such as ITAR and often advocate them because the increased cost of compliance serves as a barrier to entry for new competitors. Given that, no one is seriously expecting changes to the regulations anytime soon, no matter how many new government reports happen to get released. A twenty year old unofficial and generally unknown consortium of the fifteen most research intensive Canadian universities plans to become a “more forceful” voice for its members. According to the May 30th, 2012 University Affairs article "U-15 begins to formalize its organization" the organization (known as the U-15) will continue to focus on advocating federally funded research for its members which currently include Dalhousie University, McGill University, McMaster University, Université Laval, Queen's University, the University of Alberta, the University of British Columbia, the University of Calgary, the University of Manitoba, the Université de Montréal, the University of Ottawa, the University of Saskatchewan, the University of Toronto, the University of Waterloo and the University of Western Ontario. According to new Executive Director Suzanne Corbeil, “we will continue all of the things we were doing behind the scenes, but we’re (now) able to add a (public) voice to the dialogue." An old school bush pilot from Manitoba and an Ex-Snowbird flyer are now scheduled to fly SpaceShipTwo into space and will likely become Canada's next astronauts. As outlined in the May/ June issue of Canadian Aviator magazine, Winnipeg natives Rob Bendall, a former bush pilot and Vince Jandrisch, an ex-Canadian forces Snowbird demonstration pilot will be among the first to fly paying customers to the edge of space aboard the Virgin Galactic fleet of suborbital spacecraft. The first commercial flights are expected sometime in 2014.